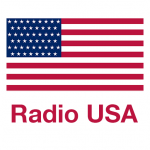 Radio USA, United States Radio Stations, All the radio stations from United States of America..
National / International, and all the radio stations from United States of America.. 29.000+ Radio Stations. * You must have your internet connection to be able to use the application. ** Would like to add your radio? Click Here..